Weight loss can be as simple as shedding pounds. Optimal weight loss is another story. An excess of body fat is unhealthy. So too, is a deficit of lean muscle. Have you ever heard the term “skinny fat”? It refers to a body type which looks slender and attractive when clothed, but, well, not so great naked – because lurking beneath is a weak, flabby body, devoid of muscle tone and strength. This can be an unfortunate result of attempting to burn fat with no regard for the retention of muscle. The primary requirement for simple weight loss is a caloric deficit. In plain English, this means consuming fewer calories than what the body requires for all the physical tasks it performs over the course of the day. When a caloric deficit is achieved, the body must, and will, find an alternate source of fuel. Under ideal circumstances, this would be stored fat. However, if given poor nourishment or the wrong signals, the body may just as easily burn the precious hard earned lean muscle mass which anyone would, of course, prefer to retain. So, what’s the best way to burn fat without losing muscle? Start with protein. Protein is what muscles are made of. In its absence, muscle cannot grow or be sustained. Even without a proper strength training regime, increasing one’s consumption of dietary protein primes the body to burn fat and spare muscle. 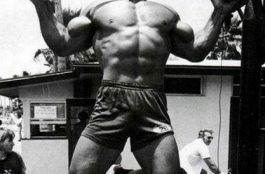 The bodybuilding world’s standard – 1 gram of protein per pound of body weight – is plenty. For some people, particularly those who are not highly active, a lower intake may be perfectly adequate. Stay strong… Increasing strength and maintaining current strength levels is not the same thing. The former requires progressively overloading muscles; the latter simply requires not reducing one’s current training intensity. By falling into the trap of lifting progressively heavier weights, performing more repetitions with lighter weights while under a caloric deficit in order to “tone” and lose weight, the body is signaled to not maintain muscle mass. If calories are lacking and there is a sudden reduction in (but not elimination of) weight-bearing activity, built-up muscle may be consumed as fuel. The biggest mistake I see people make when trying to maintain lean body mass and drop body fat is reducing the weight and increasing reps. You MUST continue to lift heavy weight in order to retain muscle and burn calories. …But don’t overdo it. Fewer calories mean less energy. Unfortunately, this condition is unsuitable for intense training and the requisite recovery and rebuilding. Attempting to push harder when the body’s preferred source of fuel is diminished will result in a drop in strength. Muscles make a person strong. Less strength means less muscle mass. A maintenance routine is all that is needed to burn fat without losing muscle. 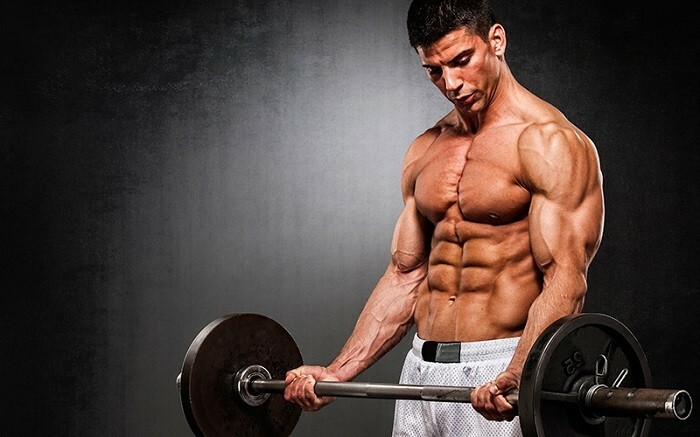 Fewer repetitions and/or fewer workouts per week will help preserve lean mass. Eat the right foods, in the right amounts and at the right times. Any workout, whether to get big or to get lean – needs fuel and nourishment – the former for energy; the latter to rebuild. Start by consuming equal amounts of protein and carbs – about 0.25 grams per pound of your target body weight – in the form of real, solid food, an hour and a half to an hour before exercising. Consume the same macronutrient ratios and amounts, but from a shake or something else that’s quick and easy to digest, half an hour or less before hitting the gym. Afterword, consume plenty more protein and carbs. Simple, isn’t it? Following exercise, the body is as ready as it will ever be to accept nutrients – the same nutrients that feed the muscles before working out will nourish and help them recover after. Please note that too great a caloric deficit can negatively impact progress. Consume more calories on strength training days and fewer calories on rest days. Something to remember is that protein consumption should be sustained every day of the week; carbs and fat can be eaten more or less of according to training frequency. Give the dieting a rest once in awhile. No matter the potential benefits to one’s physique, the body’s preferred state is not one of a caloric deficit. Taking a short break – one to two weeks – from sub-maintenance caloric intake not only provides mental and emotional reprieve from hunger, but helps gear the body back up for optimal performance and recovery. Just hit the weights, not the pavement. The bodybuilding community often snubs its nose at cardio – running in particular – and for people attempting to improve their body composition , not only achieve simple weight loss – cardio, especially too much of it, can have a detrimental effect, overloading muscle fibers and the nervous system, and reducing the ability to recover from heavy training. Cardio may shed weight and tone muscles to an extent, but relative to strength training and the resultant benefits that muscle mass confers, its cons typically outweigh its pros. Make sure your pre and post workout nutrition and supplementation is nailed. Consume 20 – 40g of protein 1 – 2 hours before training and after training.